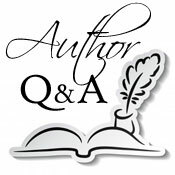 We are delighted to welcome mystery author Nancy Atherton to Omnimystery News today. Nancy's 19th book in her popular series featuring paranormal sleuth Aunt Dimity is Aunt Dimity and the Wishing Well (Viking; April 2014 hardcover, audiobook and ebook formats) and we recently had the opportunity to talk with the busy author about her series. Omnimystery News: Nineteen mysteries in this series, dating back to 1992 when the first book, Aunt Dimity's Death, was published. Did you imagine back then that you'd still be writing about Aunt Dimity today? Nancy Atherton; Photo credit Greg Taylor. Nancy Atherton: I didn't intend to write a series, but I'm glad it worked out that way. I enjoy watching my characters change and grow over time and it seems to please my readers as well. Longtime readers also enjoy recognizing references to events that took place or to characters they've met in earlier books. It's not necessary for a reader to share my characters' memories, but it's a pleasant reward for those who read the books in order, from the first to the most recent. OMN: The books in this series cross at least a couple of mystery genres. How do you categorize them? NA: Kirkus Reviews called one of my books "the coziest cozy of them all," so I suppose "cozy" applies. With extra ink. OMN: Give us a summary of your new book in a tweet. NA: Aunt Dimity and the Wishing Well: What happens when wishes come true? Chaos! NA: Every experience I've ever had is likely to show up in my books sooner or later, along with quite a few experiences I've never had (such as inheriting a comfortable fortune, sigh, or discovering a wishing well that works). Many of my characters are loosely based on people I know — it's my way of thanking friends who've helped me along the way. Then again, many of my characters show up on their own, without any reference to people I know. I have no idea where they come from, but they're always welcome! OMN: Where do you usually find yourself writing? NA: My writing environment is almost exactly the same now as it was twenty-two years ago, when my first book was published. It's small, not terribly tidy, and not one bit stylish, but it's as practical and as organized as I need it to be. I like my work space to be so familiar that it disappears. Its invisibility allows me to sink into my work without distraction. Pencils, pens, etc. are always in the same spot, so I don't have to break my train of thought to find them — I can just grab. OMN: How do you go about researching the plot points of your books? Any particularly challenging topics? NA: I rely mostly on firsthand experience to fact-check my books, but I also use the public library, my own reference library, and the Internet. My most challenging research topic (so far) was the color of a WWII Pathfinder's badge, a fact I needed to complete one sentence in Aunt Dimity's Christmas. It was difficult to ascertain the badge's color because the only photographs I could find of it were in black-and-white. I went to the Imperial War Museum in London in hopes of finding an expert who'd seen one firsthand, but the expert needed three weeks' lead time to answer my question. Happily, I found a Pathfinder's badge on display in one of the exhibits and answered my own question without requiring any lead time at all. In case you're wondering, it's gilt — a sort of dull gold. OMN: How do you go about creating a setting for your stories? NA: My books are set in places I know fairly well. I use my familiarity with a place as a jumping off point for creating imaginary worlds within real settings. For example, the small English village of Finch exists only in my imagination, but I've strolled through many English villages that bear an uncanny resemblance to it. NA: I'd travel to Japan. I have no idea what kind of story would occur there, but I'd love to find out. It's a beautiful country with a fascinating culture, and its transportation system makes it relatively easy to explore. Also, it's one of the most expensive places in the world, so I doubt I'd get there unless someone else footed the bill. NA: I have a thousand interests outside of writing, but I'm particularly fond of the time I spend outdoors with friends — hiking, snowshoeing, bicycling. I find it helpful to balance my solitary and sedentary profession with activities that are social and physical. My characters hike and cycle from time to time, but they haven't yet discovered the joys of snowshoeing. NA: The best advice I've received as an author is to hire an agent. I've heard of works being published without an agent, but my books would never have seen the light of day without my agent. She knows much more than I do about the business of publishing and she's also a wonderful person. I haven't received harsh criticism, but if I had, I doubt it would change the way I write. My advice to aspiring authors would be to savor the time you have with your book before it's picked up by an editor. No pressure! No deadlines! Yay! You can tweak and rewrite and revise to your heart's content, without anyone breathing down your neck. Enjoy! NA: I am a mystery author and thus I am also one of the luckiest people on the planet. I love what I do. OMN: Tell us a little more about how your books come to be titled. And are you involved with the cover design? NA: You'd have to ask my publisher's art department about the cover design for Aunt Dimity and the Wishing Well because, while I like it very much, I had nothing to do with it — I don't have a cover art control clause in my contracts. My book titles, on the other hand, are my own. NA: 95% of my feedback from readers is enthusiastic and affectionate and I'm incredibly grateful for it. 5% of the feedback is so personal, so moving, and so humbling that I rarely share it with the outside world. I never know what to say when people tell me that my stories saved their lives or made their lives bearable because it's hard to say anything when my heart is in my throat. As I said, it's humbling. OMN: Suppose the Aunt Dimity series were to be adapted for television or film. Who do you see playing the key roles? NA: My characters are so real to me that I can't picture them with any faces but their own. Thankfully, I'm not a casting director. If I were, however, I'd choose actors who can act over actors who look the part. NA: When I was a child I read every kind of book — dog stories, horse stories, science fiction stories, westerns, mysteries, biographies, histories, poetry, plays, anything I could get my hands on. My omnivorous reading habits may help to explain why my books are a bit of this, a bit of that, rather than straightforward whodunnits. NA: I still read widely. I have favorite authors in just about every genre and I'm quite fond of nonfiction books as well. I also develop enthusiasms that lead me to read everything I can find on subjects ranging from the history of pro cycling to Franklin's search for the Northwest Passage. OMN: Do you have any favorite literary or series characters? NA: My favorite literary characters change from day to day, depending on my mood. Dorothy Sayers' Lord Peter Wimsey may be a favorite one day, Terry Pratchett's Sam Vimes may be a favorite the next, and one of Georgette Heyer's gray-eyed heroines may claim the title after that. NA: What's next for me is writing Aunt Dimity and the Summer King, the twentieth Aunt Dimity mystery, to be published in April 2015 (if I complete it in on time). Or, if it's a nice day, I may go for a hike! Nancy Atherton is not a white-haired Englishwoman with a softly wrinkled face, a wry smile, and wise gray eyes. Nor does she live in a thatched cottage beside a babbling brook in a tranquil, rural corner of the Cotswolds. She has never taken tea with a vicar (although she drank an Orange Squash with one once) and she doesn't plan to continue writing after her allotted time on earth, though such plans are, as well we all know, subject to change without notice. If you prefer to envision her as an Englishwoman, she urges you to cling to your illusions at all costs--she treasures carefully nurtured illusions. She also urges you to read no further. Because the truth is that Nancy Atherton is a dark-haired American with a generally unwrinkled face, a beaming smile, and hazel eyes, who lives in a plain house in Colorado Springs. She comes from a large, gregarious family (five brothers and two sisters) and enjoys socializing as much as she enjoys solitude. For more information about the author, please visit her website at Aunt-Dimity.com or find her on Facebook. When a strapping young Australian named Jack MacBride arrives in Finch to wrap up his late uncle’s affairs, heads turn in the sleepy English village. But when Lori volunteers to help Jack clear out his uncle’s overgrown garden, they discover something even more shocking than a stranger turning up in Finch. After Lori laughingly tosses a coin into the garden’s old well and makes a wish, she is baffled to find that the wish seems to have come true. Word spreads, and the villagers turn out in droves to make wishes of their own. But as they soon learn, one person’s wish is another person’s worst nightmare and the village is thrown into chaos. As more and more wishes come true, Lori resolves to find out what’s really going on. Is handsome Jack somehow tricking his neighbors? Or are they fooling themselves? With Aunt Dimity’s otherworldly help, Lori discovers that the truth is even more marvelous than a magical wishing well.